The millets, a group of thousands of varieties of grass-like annual plants that bear small to minuscule-sized seeds belong to the Gramineae family of plants. Food anthropologists believe that millet was the first cereal plant domesticated by man. Today millet is considered the 6th most important grain crop in the world. 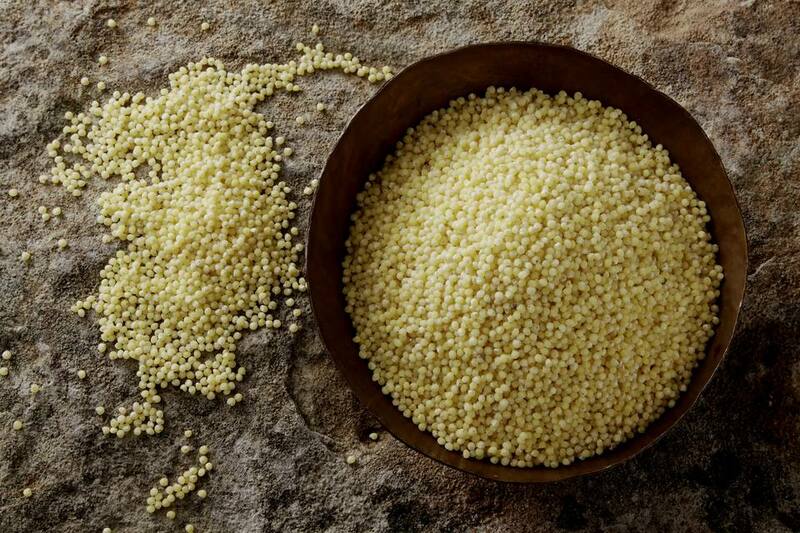 The most common varieties of millet include pearl, proso, foxtail, finger, and teff (Ethiopian millet). Millet has been a major source of protein and energy for millions of people in Asia, Africa and India for thousands of years. Bird Food or People Food? Most of the millet grown in the US is used as birdseed, and animal feed but millet and teff are highly nutritious, gluten-free whole grain and flour products. So why are millet and teff seldom found in gluten-free recipes? Millet contains high levels of two essential amino acids (proteins), methionine and cysteine. Our bodies need adequate supplies of all of the essential amino acids for growth and cellular repair. Most grains, including rice, corn, wheat, and sorghum have low levels of these two important proteins. Millet, like wheat and corn, is low in another essential amino acid, lysine. Millet is considered easier to digest than most grains. Teff is a good source of iron, calcium, magnesium, and zinc. Millet is a good source of fiber. Toast whole grain and make delicious hot cereals. Use cooked whole grains as a substitute in Middle Eastern tabbouleh and pilaf recipes. Use millet and teff flours as a substitute for sorghum or bean flours in gluten-free flour mixes. Use millet and teff flours as a substitute for a portion of brown rice or white rice flours in recipes. Teff is a dark tan color and works well in recipes that call for chocolate. Millet is a light golden yellow color and makes creamy-colored baked goods. Use whole millet to add a crunchy texture to muffin, bread, pancake, and waffle recipes.